Booka Shade has carved out a reputation as one of the most celebrated electronic acts to come out of Europe over the past two decades. Responsible for establishing a deep, forward thinking motif that defined a style and transitioned the culture into the modern era. 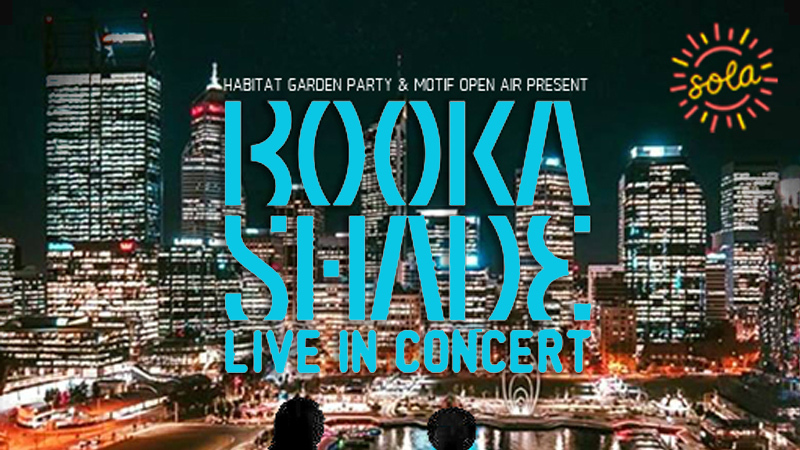 Best known for their tracks ‘Love Inc’, ‘Many Rivers’, ‘In White Rooms’ and house anthem ‘Body Language’, Booka Shade are finally returning to Perth with their amazing LIVE show. Like-minded people, relaxed dress code, unpretentious atmosphere, epic sunsets and sumptuous house vibes. Sola Festival is a boutique, 3 day festival taking place at the beautiful Elizabeth Quay. Our fully themed venue with state of the art production will host events from One Day, The Racquet Club (SOLD OUT), and Habitat + Motif (SELLING FAST), promising a unique offering with a wide variety of music from local, national and international artists. © 2019 Ticketbooth on behalf of Habitat Events Pty Ltd. All sales are final. Tickets are non-refundable.